The Nullarbor Plain was named from the Latin “null” and “arbor” meaning “no trees.” It makes fat and feature-less into a feature. The limestone cliffs swerve inland from the sea, and we drive down onto the lower plains. From the highway turnoff, it’s a slower and bumpier journey along a dirt track. Tree roots from the surface have found their way down to the cave below, spreading out on subterranean surfacesuntil they drop into the depths under their own weight. The saltier layers farther down kill the roots, and the tree starts anew, growing another net of roots on the surface. The ghostly remains underneath form a fragile, tangled web hanging in the water. Signage reminds divers to swim along set pathways, ensuring that neither water movement nor a careless exhalation destroys these eerie creations. I try to get close enough for photos while staying far enough away to protect the roots from my presence. 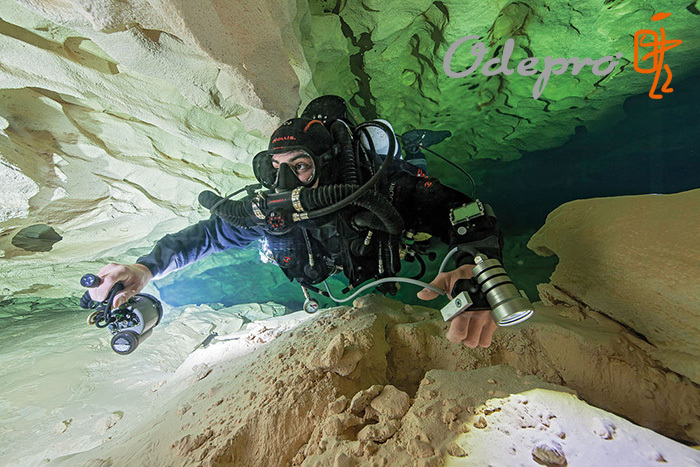 The rest of the team is not here for photographs.After several years of exploration and new tunnel discoveries via the first entrance pool, the cave seemed to have given up most of its secrets. 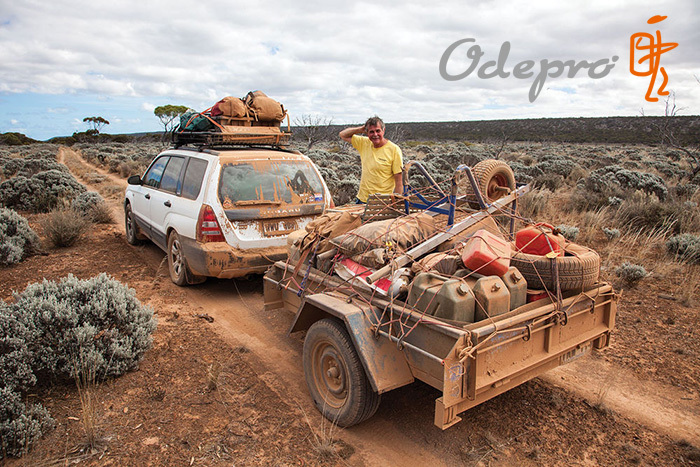 Then, on a trip in late 2010, original explorer Paul Hosie decided to have one more look into that promising pool on the other side of the depression. 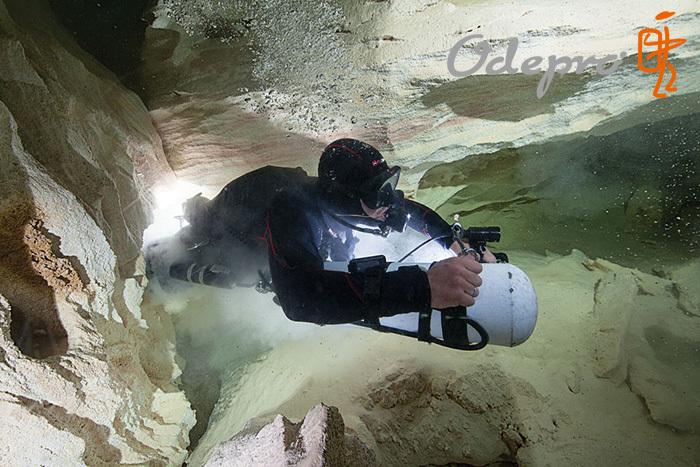 With years of familiarity with the cave and its small crevices, he pushed down a twisty underwater chimney and through nearly 200 feet of a very small fattener.With an epic effort behind him — and a long, zero-viz exit — he was rewarded with a massive tunnel ahead. 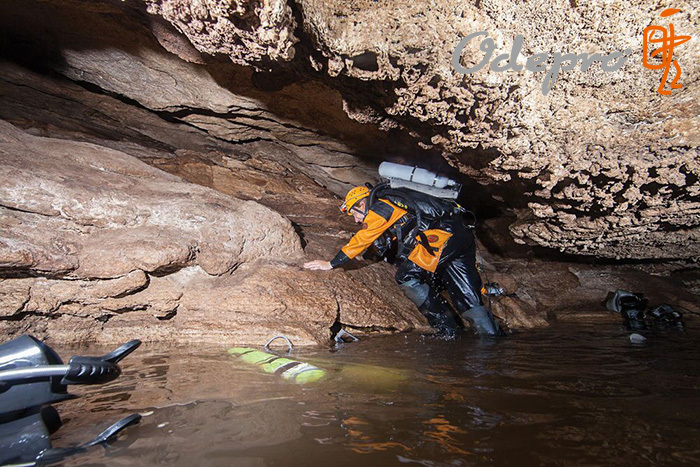 Suddenly, the push for newly discovered cave tunnels was on again, and the “downstream” Olwolgin rapidly showed itself to be larger, longer and more complex than the originally discovered “upstream” side. While the others eagerly push into unknown territory and find inter-connecting side passages,I rejoice in being able to maneuver my large camera housing through the very small entrance. The rock scalloping in this newly revealed side of the system is stunning, and bigger tunnels give more room to swim around the fuzzy waters. 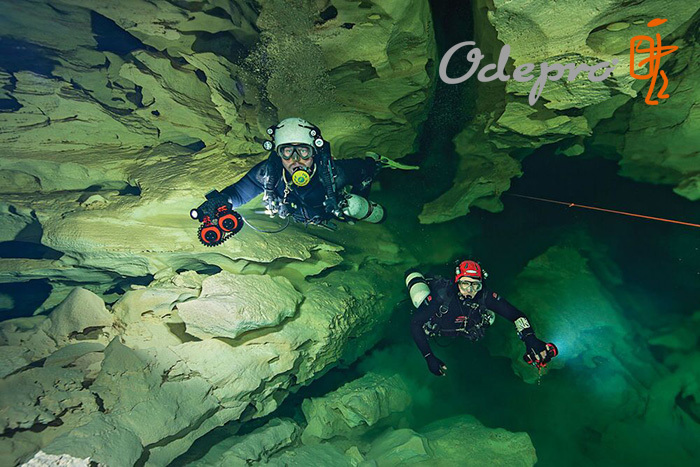 Tim and I have limited time, and we select the most photogenic areas to visit, capturing images of places seen only by two or three divers so far. 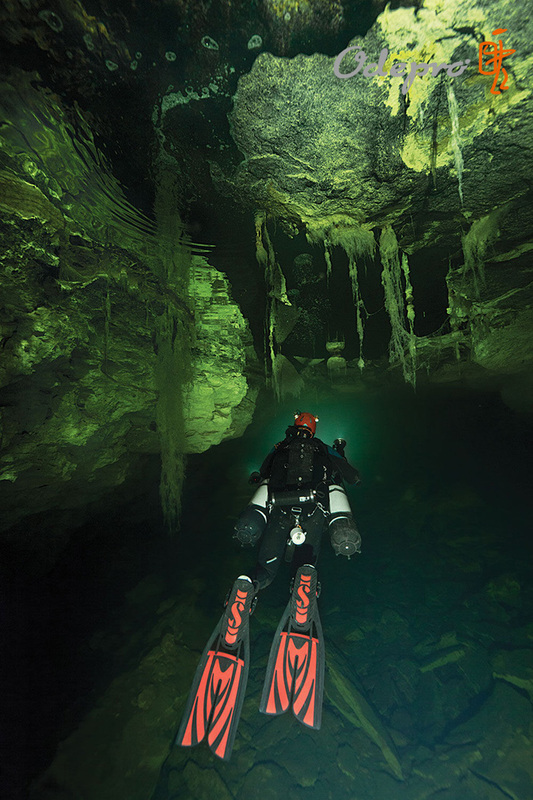 Although the water is dark, the cave walls are white. By putting extra strobes on your buddy, you can extend the light beyond the camera and bring depth to the photos. The mixing halocline layer will make every photo look out of focus. Keep moving forward into undisturbed water to get a clear shot. Modern cameras are great at low-light focusing, but they still struggle in darker caves. Your buddy might not appreciate a primary light in her face for focusing each shot. Pre-focus the camera at the right distance, and snap happily. Tunnels here can be large, but there are beautiful sights in the smaller areas too. The little tunnels don’t provide an opportunity to back up to capture it all, so a very wide-angle lens is key. Olwolgin has some beautiful and very delicate features such as tree roots and scalloped rocks. Before you get close to them to photograph, work out how to carefully approach each one, and think through how you’re going to swim away afterward without causing damage.